October 2017 | It`s full of stars! I bought a PowerLan adaptor to be able to connect to my private “server” (aka Raspberry PI) from the other side of the house via WLAN. Connecting the RP via WiFi wasn’t an option: two far away from the signal, I’d need to install at least one additional repeater and then two RP are without wireless adaptor. The PowerLan adaptor supports up to 1.200 MB/s and let’s me connect 3 devices directly. I won’t even need to buy an additional switch. And 1.200 MB/s. In theory, this is FAST. In reality the setup is complicated. The two adaptors are in the opposite location of a not-so-small house, the electrical stuff and cables were installed some 40 years ago. Some things you can only test after investing, and when thinking about how to connect to my servers, PowerLan was the only viable choice. The setup was easy: one PoweLan adaptor connects to the Internet router, the other connects the RPs. Both find them and establish a secure connection. The connection signal is green, indicating a good connection. Connection tests showed that it is working: ping, ssh, all fine. It was time to check the speed. The RP isn’t the fastes when it comes to file server duties, but back in Rio I had 11 MB/s for copying files in Windows. That was fast enough. How will it be now? Laptop connected to WiFi (that is already not so good, given the layout of the rooms) and PowerLan that needs to communicate through several meters. It’s a worst case setup. I do not expect much. A way to measure the speed is using netcat, or nc. Available in Linux and Mac. Basically the idea is to send data from the laptop to the RP and measure how long it does take to send 1MB, 10MB or more. The RP will serve as the receiving part, the laptop will send the data. bs tells dd how much to read (1MB here) and count how many times. In the above example 512 MB will be send. To send 1 MB only, use count=1, for 10MB use count=10. Connection to 192.168.2.112 port 2222 [tcp/rockwell-csp2] succeeded! Result: 736399 bytes/sec => 0.7 MB/sec. Result: 1048788 bytes/sec => 1 MB/sec. Overall, the result is slower than the 11 MB/sec what I had before in Rio, but both connected to the same WLAN. Now, with and unfortunate setup, PowerLAN gives me 1MB, and a working connection. It’s fast enough for storing documents. For copying a 100GB VM image it’s too slow. SAP NetWeaver isn’t meant to run in Docker. When the software was designed, Docker or event containerization wasn’t around (maybe SUN). 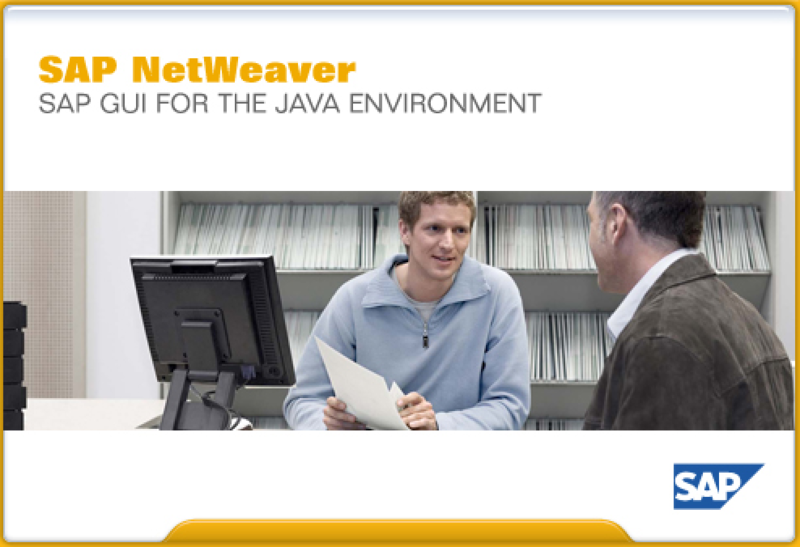 NetWeaver assumes that it is executed inside a real Linux. And the Docker version of OpenSuSE isn’t 100% a real Linux. A lot of services you get “automatically” when installing OpenSuSE are not available. One of those is that the init.d system is not starting services. Because of this, there is no UUID daemon running. 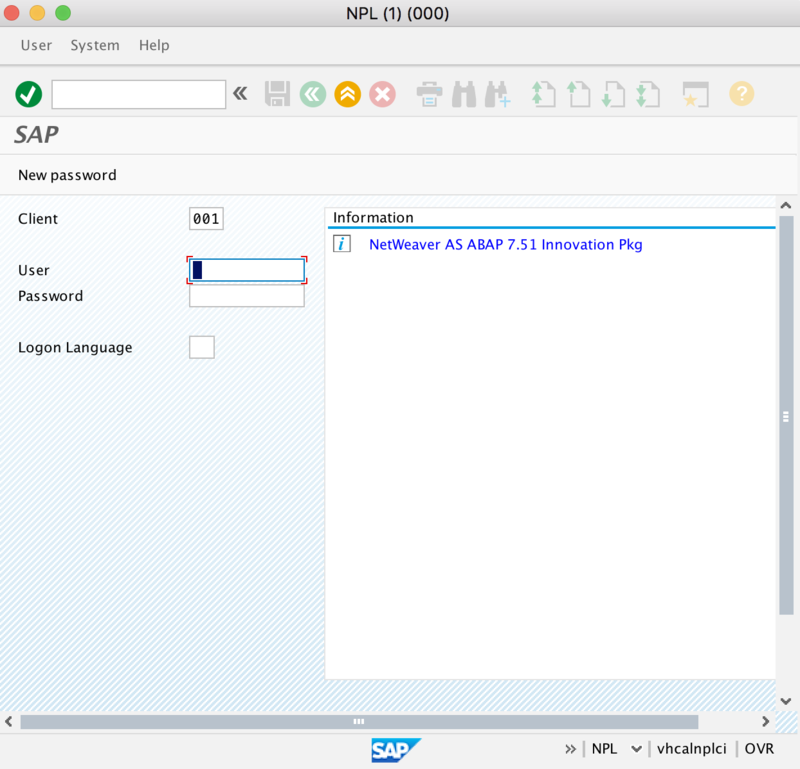 With the UUIDD running, the logon to SAP NetWEeaver ABAP is working. No restart of NetWeaver is needed. 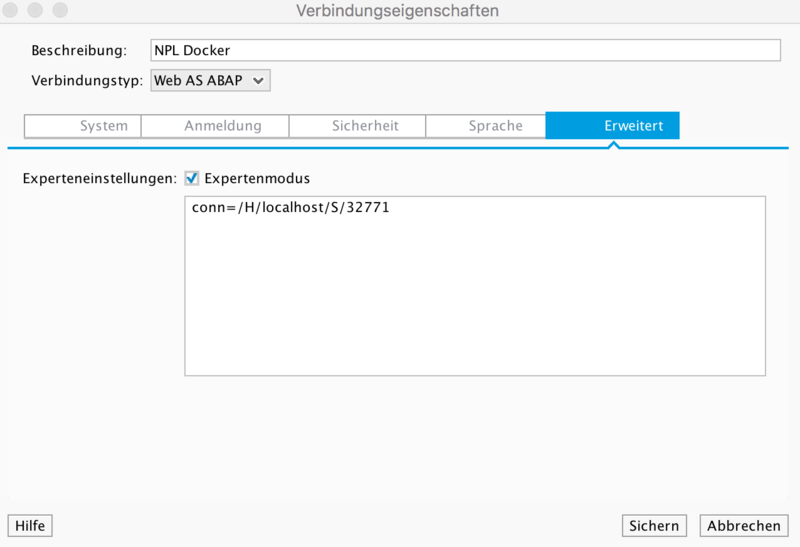 This blog will help you to connect to your SAP NetWeaver ABAP instance running inside a Docker container. 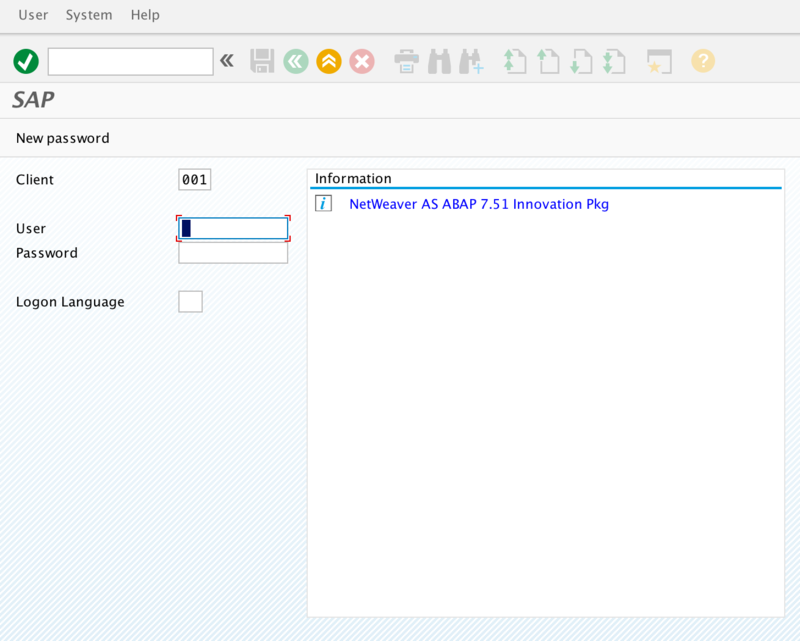 For how to get NetWeaver running inside a Docker container, please see my blog Docker for SAP NetWeaver ABAP 7.5x Developer Edition. Open SAPGui and create a new connection. Note: the port information is specified when you start the container. As an alternative, you can use Kitematic to see the port mapping. Save and connect to NetWeaver. 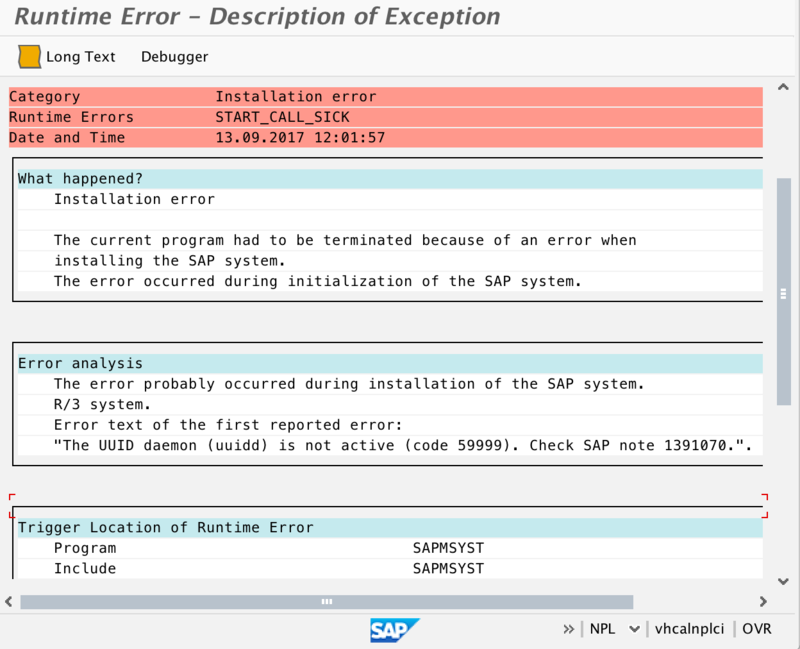 The users and passwords can be found in the readme.html of the extracted SAP NW ABAP 751 download. Standard users are SAP* and Developer. For this to work, first activate the ping service in SICF. When you get the response “Server reached.” you can start using the HTTP access. 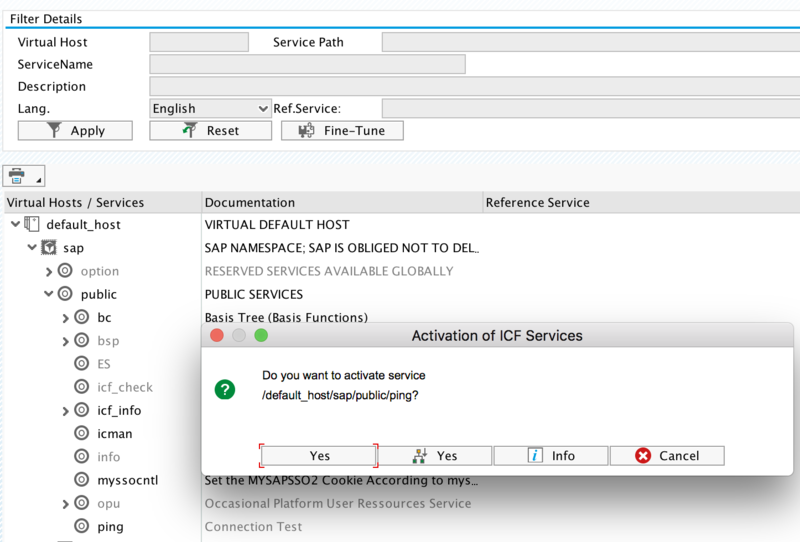 For general WebGui activation, you can see my previous blog “Activation of SAP WebGui”. Here is a short version of this guide. 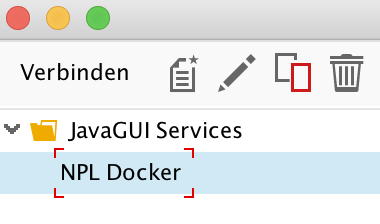 As in the previous HTTP service access, the same procedure must be followed to have access to NPL via WebGui. It is not sufficient to only activate the webgui node. 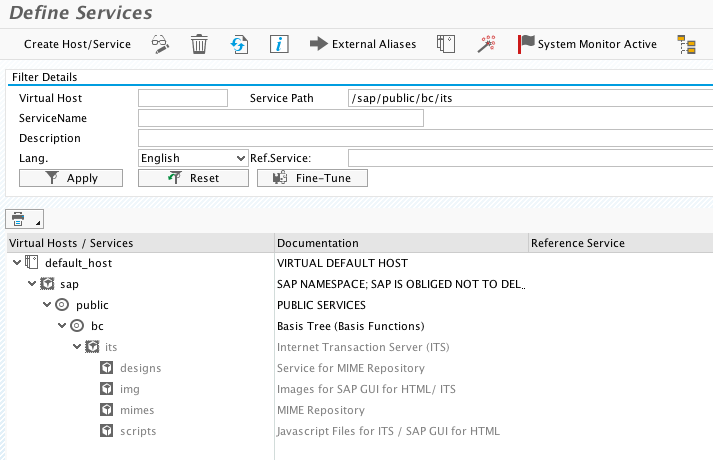 The app is using additional resources that are available under /sap/public/bc/its. If this node is not activated, you’ll get an error message when logging in to webgui. 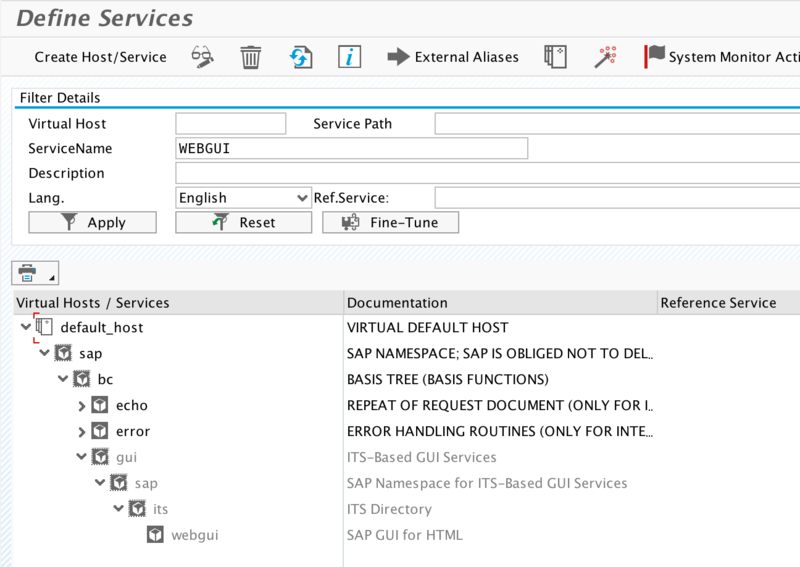 Therefore, for SAP WebGui to load the node /sap/public/bc/its must be activated too. Activate the node its and its subnodes. Select Activate Service. Activate with all sub nodes nodes (second Yes). After activating these two nodes, access to WebGui should work. To test this, call the URL http://localhost:32769/sap/bc/gui/sap/its/webgui After logging in, you should see the SAP Menu.